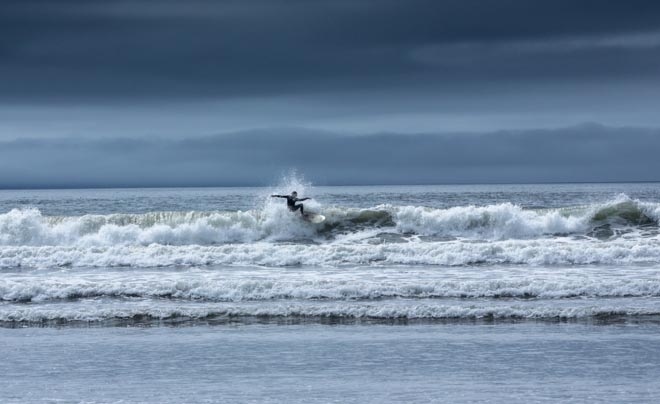 If you are Driving the Dingle Peninsula do take an hour out for a Surfing lesson at Inch beach, its great fun and well supervised, there are two main surfing Lesson operators here and they will have you up on the board riding the Atlantic waves in no time. 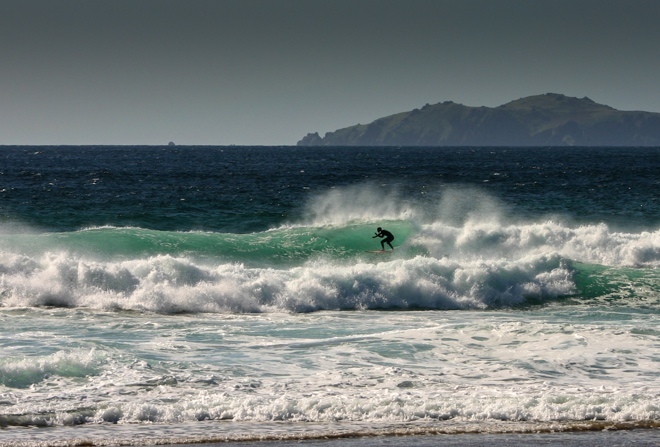 Surfing on the Wild Atlantic Way in Kerry, this wave is at Coummenole Beach on the most westerly beach in Europe on the Dingle Peninsula this would not be a beginners beach as it is not supervised yet there can be some magnificent waves for the more experienced. once you're standing up on the board you will continue to build strength.